That’s what Joyce Mitchell said to New York State police investigators in her sworn testimony following the Shawshank Redemption style escape of inmates Richard Matt and David Sweat from the Clinton Correctional Facility in Dannemora, NY, near the Canadian border, on June 6, 2015. A maximum security prison seems an unlikely setting for a fantasy. But according to a Washington Post article on Joyce Mitchell’s case, “rose-tinted” prison romances are more common than you might think. Let’s face it. Many of us encounter periods of dreariness in our lives that stretch on from day to day, from week to week, from month to month, from year to year. And a prison is an especially dreary place to work, let alone to live. Is it any wonder that those who live there (as prisoners) or work there (as employees) get caught up in fantasies and illusions of romance and of an exciting life free of the drab and dreary prison atmosphere? But it’s more than just the dreariness of prison. 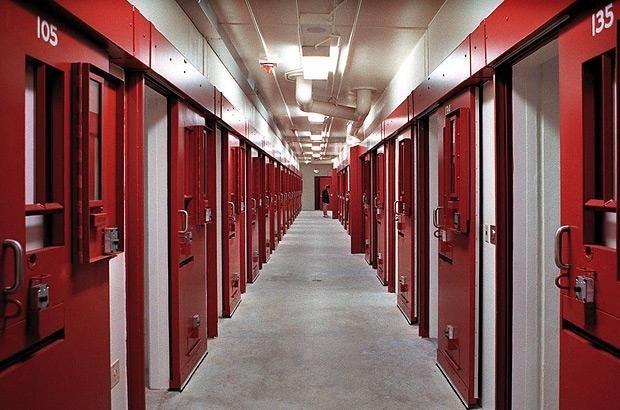 Prison is a place where people who have engaged in evil and criminal actions are separated from the rest of society. Yes, of course, there are far too many wrongfully convicted people languishing in prison for crimes they didn’t commit. But the prisons also hold a large concentration of real criminals: murderers, thieves, rapists, swindlers, and so on. Most of them live in their own fantasy world. There’s an old saying: “There are no guilty people in jail.” Just ask them. They’ll tell you. Yes, some prisoners do admit their guilt. But many believe that they have done nothing wrong. Or they steadfastly refuse to admit that they have done anything wrong. In short, evil lives in a fantasy land. That is the fantasy land that Joyce Mitchell got caught up in. And her fantasy has now landed her on the wrong side of those prison bars. Apparently Joyce Mitchell’s life was a little too dreary for her taste. She worked in the prison tailor shop as a seamstress and instructor. That’s where she met Matt and Sweat. They paid attention to her, complimented her, made her feel good about herself, and made her feel special. Before long she was doing favors for them—including sexual favors. At first she thought the items they asked her to smuggle into the prison were for their arts and crafts projects. But by the time they started asking her to smuggle in hacksaw blades, chisels, and drill bits, it was obvious that they intended to escape. By that time, she felt she was in too deep to back out. So she kept supplying them with whatever they asked for. She even agreed to drive the getaway car, packed with all the provisions and supplies they would need. It gets worse. Mitchell’s husband Lyle also worked in the prison. And he might cause a glitch in their plans. So the inmates gave her pills to drug him with so they could kill him on their way out. So powerful was the fantasy of an exciting new life with David Sweat that Mitchell was ready to have two convicted murderers kill her own husband. Yes, Joyce Mitchell was living in a complete fantasy land. How could she possibly think that a life on the lam with a killer who had just offed her husband would be a dream come true? But that’s what evil does to a person. It scrambles the mind. Evil lives in a fantasy land. And when we are susceptible to its influence, it induces us to think and believe all sorts of absurd and insane things that any outside observer—and even we ourselves, in our more lucid moments—would just shake our heads at. For Joyce Mitchell, that lucid moment came when she was eating Chinese food with her husband after work on the day when the big breakout was to take place. It was an ordinary moment. Sharing a quick meal out with her husband. And as she sat across the table from him, the scales fell away from her eyes. She realized that she really did love him, and that she could never do that to him. And then she went into a panic attack . . . literally. Instead of drugging him and making her rendezvous with the escapees, she checked herself into a local hospital to deal with the panic that was gripping her. As the enormity of what she had been about to do hit her full-force, she realized that not only had her fantasy exploded, but the life she had been living (which, in retrospect, may not have been so bad) was now over. Soon she was in court, pleading guilty to charges that would put her in prison for up to seven years. Since she did not pick up Matt and Sweat as planned when they made their escape that night, they had to go on foot. 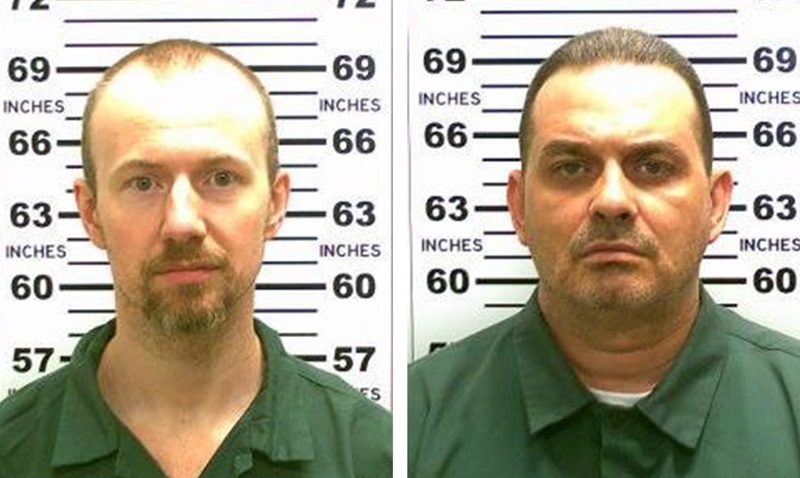 It took over a thousand police officers three weeks to find them in a massive manhunt that cost the State of New York at least $23 million. In the end, Matt was shot and killed. Two days later, Sweat was shot, wounded, and recaptured. It wasn’t only Mitchell who had been living in a fantasy land. Both Matt and Sweat had been living in a special, privileged prison ward for inmates who had demonstrated good behavior. This had made it easier to plan and execute their escape. But they, too, had their moment of truth. For Matt, it was his last moment on this earth. For Sweat, the moment of truth came when a policeman’s bullet ripped into is lungs. After being treated for his injuries, Sweat was re-incarcerated at a different maximum security prison, where he is currently spending most of his time in solitary confinement. Sweat’s days of privileged living within the prison system while serving out his term are over. As much as many people try to pretend otherwise, evil is real. And evil is always seeking opportunities to deceive us and cause harm in our lives. As explained in my article, “Strip Search Prank Calls, Domestic Violence: Evil Loves Deception,” none of us is free from the taint of evil. However, as we treat others well, and live a generally good life according to our conscience, we suppress and greatly diminish those impulses toward evil that are hidden within ourselves. And the best way to combat detrimental evil forces in our lives is to always seek the truth. Just as evil and deception partner together, so love and truth also partner together. And when love and truth work together, they bring peace to our hearts. 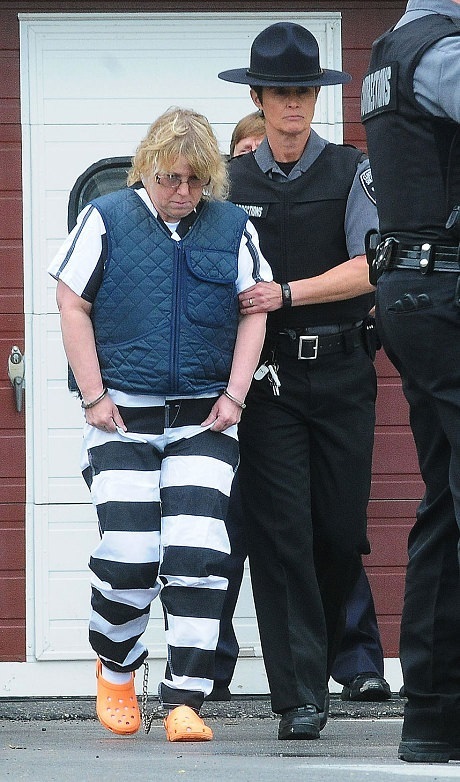 It’s easy to condemn Joyce Mitchell for allowing herself to be duped and used by two convicted felons. But that would be missing the point. Her story is an illustration of how evil works. And it is an object lesson in how not to fall victim to the same evil-induced fantasy that wrecked her life. When we’re stressed out, or distressed, or depressed, or feeling disappointed in our life, we’re vulnerable to evil forces seeking to prey on us and bring us down even lower. If, after stepping back and calmly evaluating things, you are confident and comfortable that truth pervades your new situation, then proceed onward. But if you have any doubts about truth being present, pause and consider carefully the direction your life is taking. Re-examine what’s going on. Make sure that you are not caught up in the same sort of fantasy that brought Joyce Mitchell down. Because evil lives in a fantasy land. And sooner or later, that fantasy comes crashing down around those caught up in it. Don’t allow what happened to Joyce Mitchell to happen to you. When you’re feeling low, be on your guard. Evil has a way of worming its way in and scrambling our minds just when we’re most vulnerable. When things are rough, there is a way out. But the way out is not through some fantasy land. It is through facing and following the truth. Thanks for the insightful and very helpful article. It’s stepping back that’s sometimes the hardest. Does God always give us the strength to do that? Or does it just feel like we are doing it on our own and aren’t strong enough? God does give us the strength, but we don’t always use it, for various reasons. And if we don’t use it, it’s as if we didn’t have it. And it often feels that way to us. When we’re in those down and dreary times of life, it does often feel as if we’re on our own. We’re not really on our own. God is very much with us even then. But it feels as if we’re on our own. That’s part of the trial and testing to see (and decide) what we’ll do when the chips are down, we feel all alone, and it doesn’t look like there will be any benefit to ourselves from doing the right thing. What we do then is a true test and demonstration of our character. And it is often precisely at those times that we make the critical decisions that determine the long-term direction of our lives. Thanks so much for putting what I kind of had an amorphous feeling about into clear and very comforting words. I am glad this woman came to her senses just in time (for her husband it was just in time). I do feel she was weak…sorry…that is how I feel. A weak-willed woman with a rather strange affect about her. Hey…I once worked at a place (not a prison but a locked area) where the most beautiful and striking male I had ever seen took notice of me. He hung around the reception area a lot, where I spent most of my 8 hours. He stared a lot and tried finding out how secure my marriage was. He was so temptingly attractive…and yet, I did not fall for it. I recognized that the two of us were very sexually aroused by each other (and how jealous I felt when he looked at another woman or talked to her…) I knew our ‘lust’ could explode and cause my marriage to be in jeopardy. So—I ‘checked out’ mentally. I became blase. I joked with him and answered him with one-word sentences. That was it. About that time the movie, ‘Unfaithful’, came out starring Diane Lane and Richard Gere. The guy who played the young ‘hunk’ in that movie could not compare with my workplace ‘hunk’…in my eyes, anyway. And yet I still resisted him. That movie showed me all the Hell that could break loose if I had fooled around with this man. And look at the poor little boy, their son, in that movie…what was to become of him? Thanks for your thoughts, and for detailing your own related experience. Fortunately, you handled that temptation much better than Joyce Mitchell did! Actions have consequences. Desires and thoughts lead to actions. If we can cut disastrous desires and thoughts off before they flow out into actions, we can save ourselves a world of hurt. Yes, Joyce Mitchell was weak. She didn’t stop herself from acting on desires and thoughts that were clearly wrong from any objective viewpoint. Fortunately, as you say, she did stop herself before taking that final step. Not only would it have caused her to be an accessory to murder–and of her own husband, no less–but it’s likely that she would have been the next victim, when the convicts had no further use for her. Her husband is still sticking by her. Would those two killers have done the same? As it is, she’ll have enough years in jail to reconsider her actions and her life. The hope is that she will retain the clarity that finally caused her to cease her foolish and destructive actions, and will commit herself to living by the truth from here on out–even if not always perfectly.